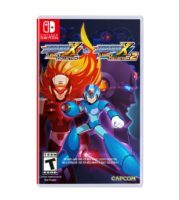 Back in December, Capcom announced that all Mega Man X games would be released on the Switch, although it wasn’t yet clear in what format. In February, Mega Man X Legacy Collection and Mega Man X Legacy Collection 2 were rated in Australia, suggesting that the X games would be released as part of these collections. This has now been confirmed in the latest edition of Famitsu magazine as well as in a new Japanese trailer released by Capcom (in Japan, the games are called Rockman X Anniversary Collection). Mega Man X Legacy Collection will include Mega Man X through X4, while Mega Man X Legacy Collection 2 will include Mega Man X5 through X8. 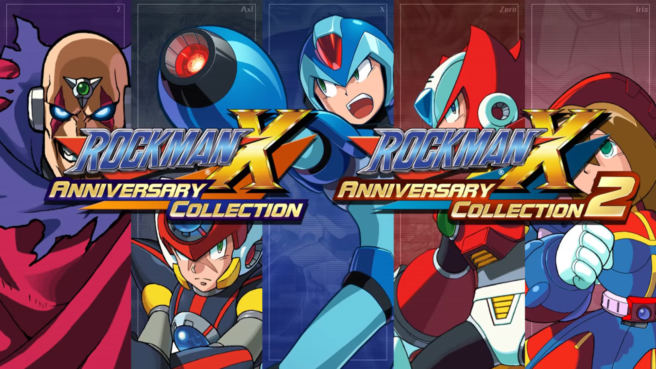 In addition to the games themselves, there are also a variety of bonus features such as an optional filter, a music and art gallery, a collection of images depicting various Mega Man X merchandise that has been released over the years, a trailer collection as well as the “Day of Sigma” OVA. There’s also a new mode called “X Challenge”, a boss rush mode with a twist. In it, you will have to fight bosses from different games in the X series together. Both games will be released in Japan on July 26th. We don’t have an official Western release date yet, but we assume it’ll be on the same day.